#Africa4Future is a joint accelerator programme of Airbus BizLab and Make-IT in Africa, an initiative of the Deutsche Gesellschaft für Internationale Zusammenarbeit (GIZ). 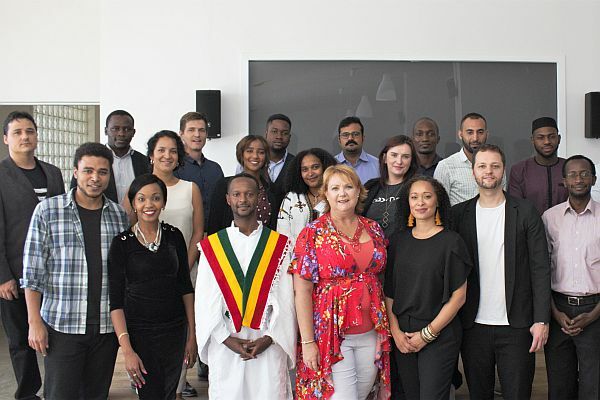 The implementation of the programme is handled by two institutions: The Meltwater Entrepreneurial School of Technology Africa (MEST), part of the software company Meltwater and is a non-profit pan-African organisation that brings together startups, entrepreneurs and members of the tech community. They are joined by Cape Town based Innocircle, a consulting firm focusing on innovation and global networks. Africa is becoming an increasingly important market. With the BizLab, Airbus is positioning itself strongly on the international stage with its four campuses located in Hamburg, Toulouse, Madrid, and Bangalore. Airbus works with up-and-coming young companies on topics related to aerospace: unmanned logistics and aircraft, blockchain, artificial intelligence, material composites, and data analytics among others. At the Airbus BizLab we open the doors of the aerospace industry to the startup world. We have a lot to learn from each other and we aim to share our legacy to shape the future together. Sustainable innovation is a core principle of the #A4F initiative. Economic development and sustainable development are two faces of the same coin. For-profit and non-profit initiatives are combined to create lasting solutions on the ground and in the air. Startups which take part to the #A4F acceleration programme are coached to build their business models around business viability and sustainability. Part of this journey include deliberately omitting technologies which harm the environment and to adopt new sustainable options. Focusing on responsible innovation, #Africa4Future harnesses the transformative power of technology and entrepreneurship to foster positive impact. The United Nations’ Sustainable Development Goals (SDGs) are key for sustainability. In this context, the concept of sustainability includes environmental protection, combating hunger and poverty, as well as education and equal rights for everyone. This provides a shared vision on how to best achieve peace and prosperity for people and the planet, now and in the future. A recent study calculated that 65 of the 169 SDGs are directly linked to aerospace technologies. For the industry’s leader Airbus, this implies a huge responsibility. In 2017 #Africa4Future started with three startups. Among them was Cloudline from South Africa. This company has tackled the issue of supplying the population in Africa with essential goods in an inadequately developed transport system. Many people in South Africa can neither be reached via proper roads nor live near an airfield. This is why drones can be used to transport goods, but they are usually too small to carry heavier goods and larger quantities. Cloudline founder Spencer Horne has developed a solution for this problem: an airship which flies with solar energy. Following the success of the first round, the call for the second season was launched in October 2018. 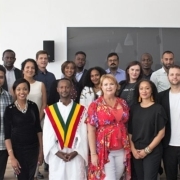 314 start-ups from 19 African countries applied and the top ten were selected in mid-January of this year in Nairobi after a public pitch event in front of experts, potential investors, the media and other stakeholders. The event marked the beginning of an intensive six-month programme to set up and develop the startups into proper companies. During the six months, MEST will deliver weekly coaching sessions and give access to their co-working spaces in Abidjan, Lagos, Nairobi and Cape Town. In addition to that, the participants will receive a wide range of support from Airbus and GIZ experts in workshops and promotional activities to be held in Toulouse, Berlin and Cape Town. The coaching will include technical and commercial content as well as mentoring in related areas. The programme will conclude with Demo Days at the Paris International Airshow 2019 and a special event in Berlin in June 2019. The finalists will present their products to representatives of the international aerospace industry, get to understand the cooperation with Airbus and report on their financing commitments. Astral Aerial (Kenya) – using drones for humanitarian cargo transport, surveillance and emergency response. Cote d’Ivoire drone (Ivory Coast) – locally-manufactured drones for a wide range of applications. Elemental Numerics (South Africa) – applies computational fluid dynamics techniques to the design of machines and components, ranging from aircraft to heart valves. Lentera Limited (Kenya) – applying remote sensors to monitor and transmit environmental data to enable more efficient and smarter farming. Maisha ICT Tech PLC (Ethiopia) – deploying locally built drones for delivering medicines, blood and healthcare items to remote and rural areas. MamaBird (Malawi) – provides a platform to help governments, NGOs and other organisations in delivering life-saving supplies to remote communities. WiPo Wireless Power (South Africa) – offers reliable and convenient wireless power chargers for businesses, conference centres, airports, restaurants and other venues forth charging of mobile devices, laptops and drones. The call for projects for the fifth season of the Airbus BizLab acceleration programme will open in April 2019. Would you like to know more about it or talk to some of their startups? 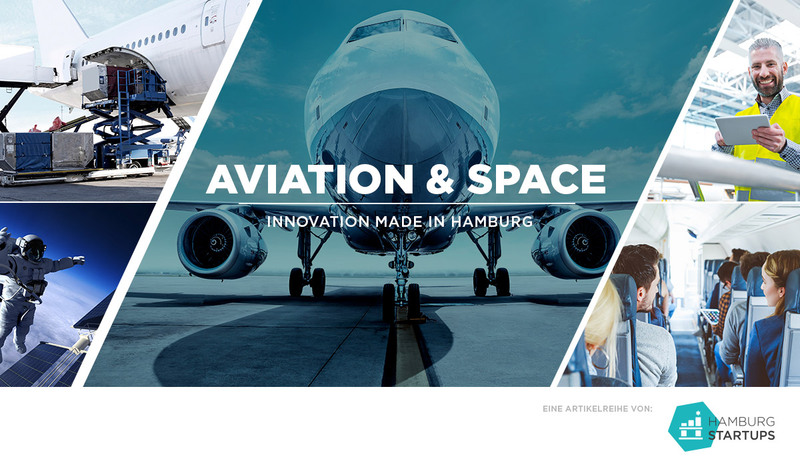 Meet them on the 2 – 4 April 2019 at the Aircraft Interior Expo in Hamburg at the Airbus BizLab booth. For more information, check the Airbus BizLab website at www.airbus-bizlab.com.